This antique Arnold Sterilizer was made around 1940 by the Arnold Sterilizers ... of course, who else? This sterilizer is no longer in production. Why was this sterilizer so unique? becuase you could inject house steam into it, and maintain 100-102f temperature with pressure ZERO. Agar goes in as a solid. The 100-102f (70-90c) temperature brings it down to liquad. Once the agar is brought into liquad, it distroys the cells of the agar. When it cools back again, the agar turns into solid again. 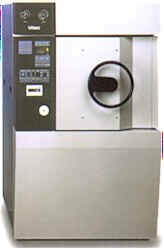 Today, you can have a state of the art sterilizer that will do that with digital programming of the time, and temperature. 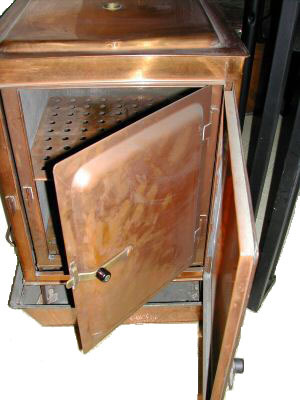 And by setting the parameters as per instructions, you may use it to sterilizer liquads or solid. 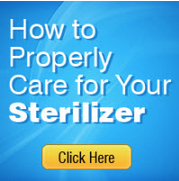 This sterilizer comes in various chamber sizes. All of the above come with of house steam or with its own steam generator.